The two metro area towns predicted to grow fastest in the next five years are named Gilberts and Minooka. Elgin is third. 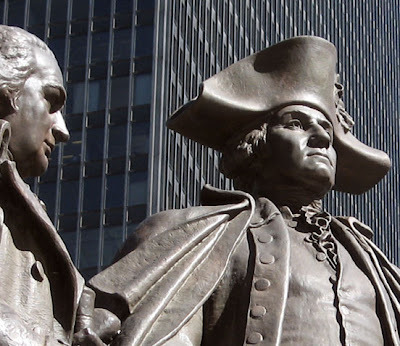 Chicago is the 16th most expensive place to do business in the United States. 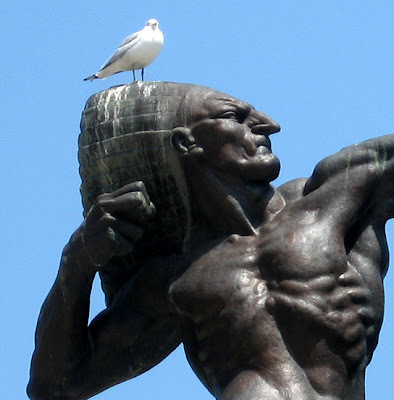 At an index rating of 109.8, Chicago's cost of living is not much more half than New York City's (214.7), but higher than Columbus, Ohio (1oo.1). It's over a third cheaper to live in Joplin, Missouri (82), but then, again, you have to live in Joplin, Missouri. CEO's compensation averaged a 53.8% gain in 2006, COO's 74.1%, CFO's 48.2%; that of chemists dropped 5.2%, quality assurance technicians declined 6.9%, and customer service reps fell 4.3%, which may have something to do with their general hostility whenever we get them on the line. In Chicago a woman earns 90.9 cents for every dollar earned by a man, against a U.S. average of 76.7 cents. In Will County, it's 66.5 cents. If Chicago's metro area was a country, its economy would be the 19th largest in the world. 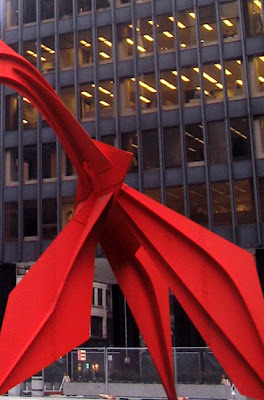 Within Cook County, altercations over the use of ketchup on hot dogs accounted for 72 injuries, and one $72 million lawsuit filed by a Circuit Court Judge against the management of the Weiner's Circle over stains from flying mustard that he alleged ruined his lucky pair of pants. 37% of the mummies in the Field Museum would rather be in Philadelphia. 2006 marked the breakthrough year in which Chicago's traditional religious affiliations (Catholic, 29%, Protestant, 22%, and Jewish, 3%) were eclipsed by the Church of Oprah (33%, 39% during sweeps weeks). 49% of business executives doing business with the city think Mayor Daley is wonderful, 22% think he's amazing, 14% think he's a really great-looking guy and a snappy dresser, to boot, 9% think he's the best thing since Jesus, and the remaining 6% simply pass out on the floor from anxiety whenever the question is asked. There's a lot more where this came from - minus the more fanciful interpolations - with enough charts, maps and lists to make a factoidaholic think they've died and gone to the great Bureau of Statistics in the sky. You can check it out on-line, but this is one case where buying a paper copy is a must. 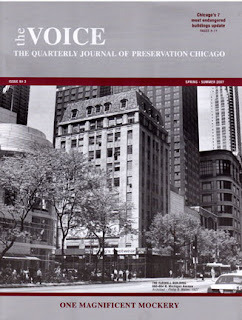 Just after writing about the contraction in writings about Chicago architecture, I was pleasantly surprised today to be handed by Jonathan Fine, President of the grass-roots advocacy group Preservation Chicago, the latest issue of its publication The Voice, which carries the subtitle, The Quarterly Journal of Preservation Chicago." 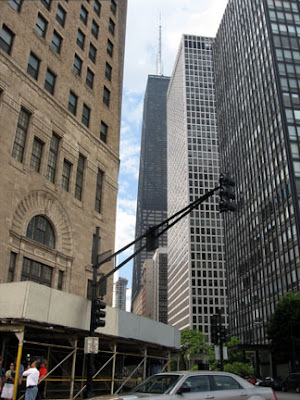 The 12-page Spring-Summer 2007 issue has the ill-fated Farwell Building as its cover girl, and inside Fine has a good article on the sorry charade that has led the Michigan Avenue landmark to its assignation with the wrecker's ball. There's a second piece, with four informative photos, on Preservation Chicago's current priority, the battle to save Jarvis Hunt's 1927 Lake Shore Athletic Club, which Fifield Properties is seeking to demolish for a Lucien Lagrange condo highrise. The clock is ticking - if no action is taken to designate the structure a landmark by July 12th, it's rubble city. 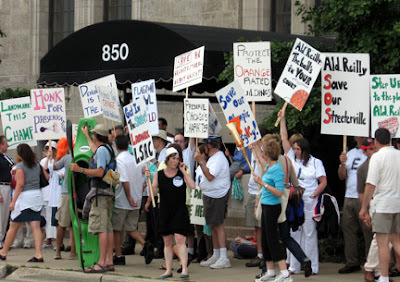 The Voice is provided free to Preservation Chicago members. Memberships start at $35.00 yearly, $15.00 for students. The quality of the content, however, makes it more than just a house organ/newsletter. It's definitely worth checking out. Previous issues are available as PDF downloads on the organization's website. Friends of Downtown held a forum Tuesday with the two alderman who split most of downtown Chicago between them. Both Brendan Reilly (42nd ward) and Robert Fioretti (2nd ward) defeated long-time incumbents who were seen by many as far too cozy with developers and far too tolerant of being rubber stamps to Daley administration whims. Talk, of course, is cheap, and neither alderman has really been tested yet on how they strongly they'll stand up for their stated convictions, but their comments, a sampling of which can be found below, offered a refreshingly different take on the business-as-usual of the recent past. Fioretti talked about future challenges to Chicago's center city, "from North Avenue to the Stevenson to Halsted or to Ashland. We have 160,000 people in that area right now. In the next ten years, it will be, according to the current projections, a half a million people. Let’s think about where the parking is, and where’s the congestion. Where are the new schools? 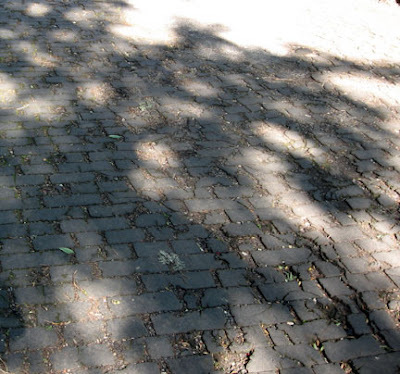 Where is the transportation, the infrastructure? . . . If we don’t start planning for the long-term dealing with the problems, we’re going to get nowhere." Reilly: That’s been a bit of a political football. . . . That’s something that will be thoroughly vetted, building by building, in the new East side. I find it curious that there are certain organizations out there, that have in their charter a mission statement of preserving open space, that are actually advocating for additional building for Grant Park. I don’t understand that. How these folks can look [you in] the eye and say, yes, we’re here to preserve Grant Park, but please put this building in, I don’t understand that. On the Chicago Spire and developer Garrett Kelleher's multi-million dollar commitment to creating a new DuSable Park on the other side of Lake Shore Drive. Reilly: I'm happy to see that that it be finished before the Spire is open for occupancy. Generally, my view is the more green space the better. Especially in downtown Chicago, we need to preserve open space whenever we can. Fioretti: I think we have to be very careful on how we spend TIF money. . . . Money has to be given back to the schools. Reilly: My view is that if we’re going to reform the system, it has to be done at the state level. I don’t think the city should unilaterally disarm. We are competing with other cities. 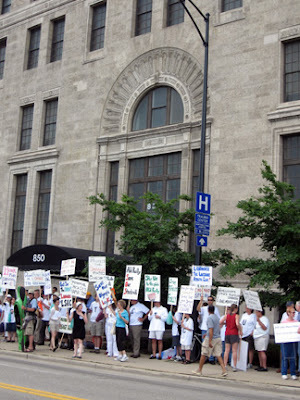 Generally I support TIF reform. On Queen's Landing, where the city suddenly, without notice or discussion, closed down the pedestrian crossing from Buckingham Fountain to the lake. Reilly: That’s something I’ve been talking about with CDOT [Chicago Department of Transportation] just in the past week. . . . We’re talking about whether or not to revert back to the old crossing arrangement (applause) I’m working with professionals who know an awful lot about traffic management and infrastructure - certainly a lot more than I do - to get their informal recommendations and then we’ll hash that out, but it is something to be revisited. Certainly given the potential for winning an Olympic bid has resulted in the Department of Transportation taking a closer look at that. Hopefully we’ll have something to announce in the next few weeks, or coming months. Fioretti: I don’t think you can make any further decisions until 2009, when the Olympics are decided, because that is going to be a major venue for track, field, three or four other ones. I want to make sure that when the Olympics leave here, that we have plans are for the future for all of these locations, whether its Washington Park, whether it’s Northerly Island, and especially, impacting my ward, the Olympic village. Two videos on YouTube are the latest volley in the ongoing battle to save Jarvis Hunt's 1927 Lake Shore Athletic Club, which Fifield Development is seeking to demolish and replace with a new condo tower by architect Lucien Lagrange. 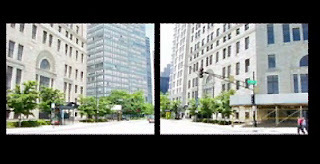 First up was a video submitted by Bruce A. Beal on the June 3rd demonstration at the building, organized by Preservation Chicago, where volunteers were encouraged to show up in athletic attire. 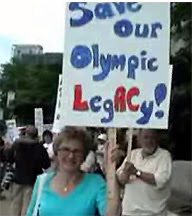 Board member Laura Stigler Marier put the effort in context of Chicago's fight to win the 2016 Olympics. "They want to build a legacy," says Marier. "Well, we've got your legacy right here. This building was site of the Olympic swimming trials in 1928." Yesterday, an excellent five minute documentary by Anna Weaver was posted chronicling both the building and the fight to save it. 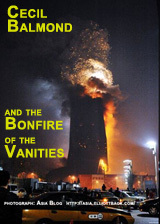 It includes interviews with architecture critic Cheryl Kent, Better Government Association Executive Director Jay Stewart, and Lost Chicago author David Lowe, who points out how some of the city's most powerful institutions routinely trash Chicago's architectural history. "[The] real problem," says Lowe, "is that places like universities -like Northwestern, let's say it- churches that always want to tear down buildings, foundations, all are tax exempt. I just don't think you can give people like that that tax exemption and then suddenly, as it were, flip a profit." 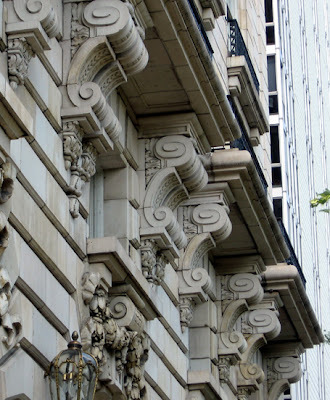 The video lingers over the ornamental details of the facade, which Lowe talks of as a blending of Classical and Art Deco elements. "The building works well, I think, because its very reticent." 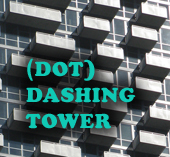 The Club sits just south of Mies van der Rohe's iconic, trail-blazing 860-880 Apartments. 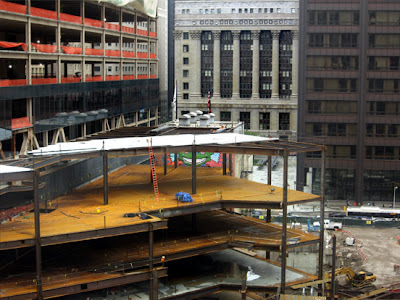 Says Todd Palmer, design partner at the Program Collective, "Commentators have talked about the 850 Building, the Lake Shore Club, as an excellent backdrop to the Mies. Which is true, but I think it's something more than that. I think the buildings together form a strong and dynamic composition"
The building resides in the 42nd ward, and that ward's newly elected alderman, Brendan Reilly, may well be the one who ultimately decides the Club's fate. Earlier this year, Reilly defeated 36-year incumbent Burton Natarus in a contest where his large margin of victory (he won in the first round, without being forced into a runoff) was generally perceived as a reaction to Natarus' perceived coziness with big developers - usually also major contributors to Natarus' campaigns - at the expense of the integrity of the community's rich architectural legacy and fabric. 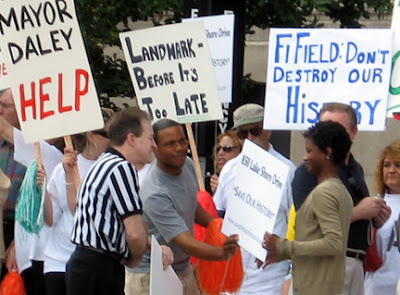 Reilly was very visibly in evidence at the June 3rd rally, and he will appear again, along with downtown's other new alderman, Robert Fioretti, who in April defeated another long-time incumbent in the 2nd ward, at a Tuesday night, June 26th forum, sponsored by Friends of Downtown, that begins at 5:15 at the Claudia Cassidy Theater at the Chicago Cultural Center at Randolph and Michigan. 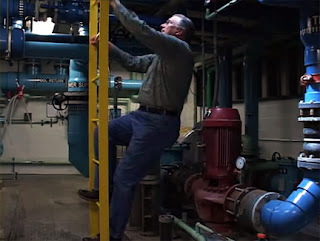 The forum provides preservationists and downtown residents another chance to query Reilly about his impending decision on the Lake Shore Athletic Club's future. See the rally video here. See the documentary video here. 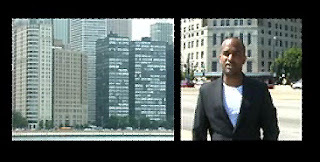 Chicago architectural coverage withers - AIA/Chicago and Lee Bey to the Rescue? 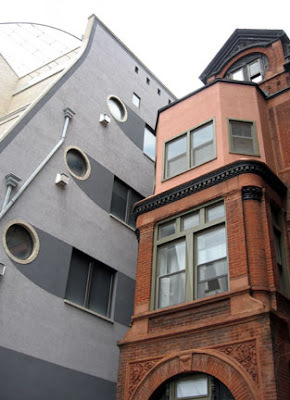 Things haven't been going well in the world of architectural discourse in Chicago. Archidose's John Hill - gone. WBEZ's Edward Lifson - gone. The sirens of dance, art and literature have been seducing Chicago Sun-Times critic Kevin Nance away from his original architecture beat. Can a new website from former Sun-Times critic Lee Bey, and a new magazine from AIA Chicago fill the gap? Read all about it here. A colorful interloper knocks the top hats off the stuffed shirts of Logan Boulevard. Read the story and see all the pictures here. 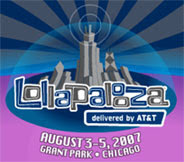 Lollapalooza 2007 - The Grant Park Conservancy/Grant Park Advisory Council will be meeting at 6:30 P.M., tonight, Monday, June 18th to discuss the ongoing reforestation and other improvements to the park funded from some of the proceeds of what is becoming the annual Lollapalooza music fest, which takes over the southern districts of the park the weekend of August 3rd. Note that Monday's session will take place, not in the Council's usual Daley Bicentennial field house hangout, but in the Congress Lounge of Roosevelt University's landmark Auditorium Building. Archeworks Summer Open House. 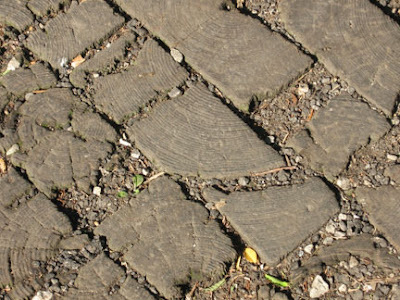 A lecture by OWP/P Architects President John Syvertsen has added been to this event, taking place this Thursday, June 21, beginning at 5:30 P.M. The evening will also include a tour of the schools studios and co-founders Eva Maddox and Stanley Tigerman discussion the school's program and next year's projects. ULI Chicago takes its Act to Kane County - next Thursday, June 28th, at the The Center of Elgin, for a breakfast session, beginning with a 7:45 A.M. registration, that will feature county officials discussing how they're working to manage Kane County's explosive growth and a real estate developer talking about how he's exploiting it. New Aldermen for Chicago's Downtown - Friends of Downtown will be hosting a Tuesday, June 26th forum, beginning at 5:15 in the Claudia Cassidy theater in the Chicago Cultural Center, for the two alderman - Brendan Reilly (42nd ward) and Robert Fioretti (2nd ward) - both of home defeated long-term incumbents earlier this year. Friends bills the event as "a chance to question the recently elected aldermen . . . about their goals, their priorities, and the process by which they'll determine citizen support for new projects." A reception follows the program. Crain's Chicago Business has a report today that Gonzalez Partners, the 10-person firm headed by architect Joseph Gonzalez, is being absorbed by DeStefano & Partners, Ltd, where Gonzalez becomes a design principal. Both Gonzelez and James DeStefano are alumnus of Skidmore, Owings and Merrill. I'll always remember Gonzalez as the guy (and if my memory is faulty, I hope someone will correct me) who came out to the hearings on the 1911 Chicago and Northwestern terminal and said that since all the really great stations had already been demolished, it was ok to throw away the Chicago and Northwestern - the last complete and functioning example of the great depots - because it wasn't quite up to the standard of the ones we had wrecked already. 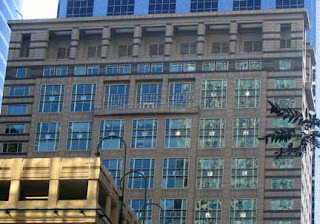 While at SOM, Gonzalez designed two of the more graceful skyscrapers of the Post-Modern era, One North Franklin and 303 West Madison, notwithstanding the fact that columns of 303's penthouse arcade shelter, not windows and a balcony, but supersized air vents. 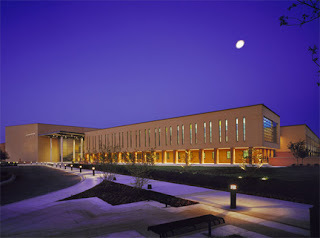 Among Gonzalez's recent projects is the new Little Village High School, opened in 2005, and new Brown Line stations at Sedgewick, Armitage and Chicago, currently under construction. 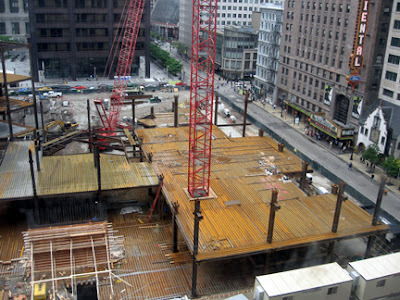 Block 37, the beleaguered renewal project in the heart of Chicago's Loop, just across from Marshall Field/Macy's flagship store, that stubbornly remained a blighting, vacant dirtpile for a decade and a half, is finally turning the corner. 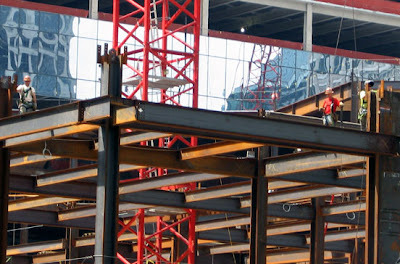 We're still a long way from being able to judge the quality - and viability - of the ultimate outcome, but at last something is rising on the site, and at its current state of construction you can actually start to envision it heading to the finish line. Yes, it's even gotten to the ceremonial hanging of the curtain wall for the building at the southwest corner of Dearborn and Washington, that will house both the new headquarters of Morningstar Financial, and street-level studios, looking out over Daley Center Plaza with its famous Picasso statue, for CBS2 Chicago. 108 North State is the block-long retail component of the complex. 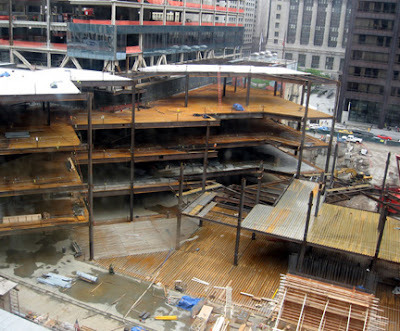 Here you can see the irregular framing that will support twin diagonal concourses leading to an atrium and new, multi-story Chicago Transit Authority station at the middle of the block. The northwest portion of Block 37 - the unbuilt portion in the photo below - is slated for residential towers. 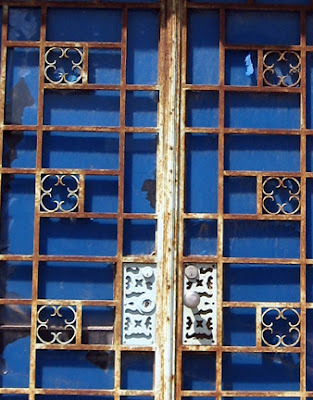 Word via Edward Lifson's New Modernist blog that Lifson has left Chicago Public Radio, WBEZ - where his Hello, Beautiful has been an indispensable program for architecture and the other arts - to become a Loeb Fellow at the Harvard School of Design. As someone who was lucky to just make it through high school, I'm not entirely sure what this all means, but I know its a big deal. I'm sure great things will come out of it, just not here. So the outflux of Chicago architectural commentators continues - first Archidose's John Hill, studying in New York, and now Edward. More to follow, but best wishes to Edward. 12:20 P.M. - Thursday, June 14th. 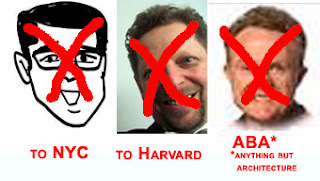 We now have correct guesses on all three, listed below. DePaul Center (former Goldblatt's) - guessed correctly by "mattstrom6"
former Chicago Daily Defender Building at 2400 S. Michigan - guessed correctly by"spy"
1550 North State Parkway, architect Benjamin Marshall - guessed correctly by "anonymous"
City of the Future: A Design and Engineering Challenge, has opened at the Museum of Science and Industry. 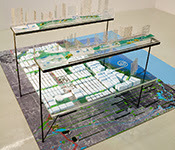 The exhibition showcases Growing Water: Chicago in 2016, UrbanLab's $10,000 first prize winning entry in the History Channel's recent The City of the Future competition. It envisions water as "the new oil" and develops strategies for recycling 100% of the water that the city of Chicago uses. Also on display will be the seven entries UrbanLab beat out, from Valerio Dewalt Train Associates, partnering with Arup, to Garofalo Architects and Strawn Sierralta and four others, as well as the winners from the New York and Los Angeles competitions. Read more about those entries here and here. At the MSI, an interactive display promises visitors will get a shot to build their own vision of the future. 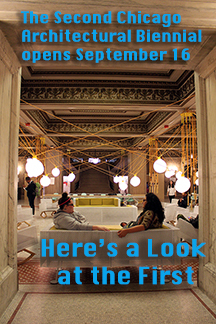 The exhibition will run through October 7th. West is East is West/Mies van der Rohe - opens this Saturday, June 16th, at Crown Hall, 3360 South State Street on the Mies-designed IIT campus. 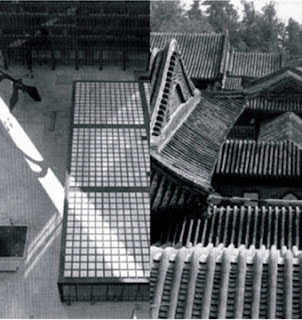 Sponsored by IIT's Mies van der Rohe Society, it features ten pairs of supersized black and white photos by architect and author Werner Blaser exploring "correlations" between the work of Mies and Eastern modes of building. The photos are taken from the book of the same name by Blaser and Johannes Malms, where they were described by the Architectural Review as being of "such breathtaking power that they leave one gasping for air." 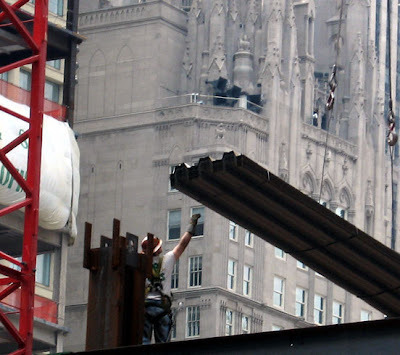 Hours for the exhibition, which runs through July 29th, are 10:00 a.m. to 3 p.m. daily, except June 23rd and July 4th, and the $5.00 admission supports the restoration of Mies buildings on the campus. 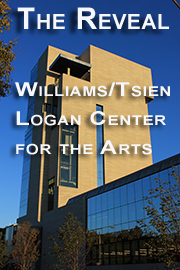 Admission is free to visitors purchasing the $5.00 self-guided iPod or docent-led tours, at 10:00 a.m. and 1:00 p.m., which leave from the Rem Koolhaas-designed Tribune McCormick Campus Center, 3201 South State. More information here. 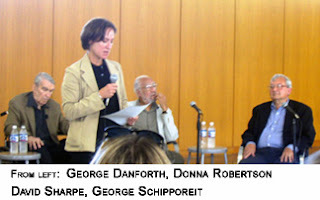 We learned late last week from Docomomo-Midwest that architect and educator George Danforth died quietly in his sleep last Tuesday. Rolf Achilles dedicated his Saturday Docomomo-Midwest tour of modernist landmarks to Danforth's memory. Danforth was born in 1916, in Kansas, son of a pharmacist father, and musician mother. 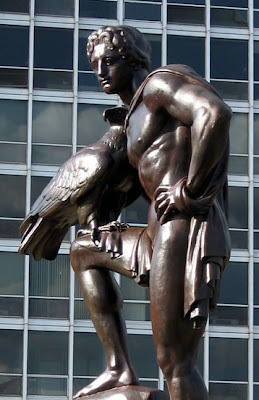 He began his architectural education at IIT in 1935, when it was still the Armour Institute. In 1938, the school was looking for a new head for its school of architecture, and as each new possibility floated to surface, the students would head to the library to check out the prospect's work. 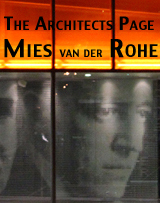 There was particular interest when Bauhaus architect Mies van der Rohe joined the race. 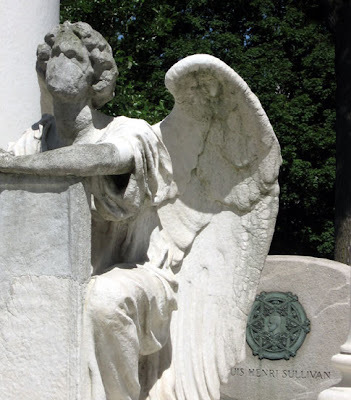 Danforth, an accomplished jazz pianist, had been touring Europe when, according to a biography on the IIT website, he "received a telegram from the Department of Architecture librarian that read, 'Mies is here, and Benny is held over.' "Benny Goodman was one of my idols in those days, and he was playing at the Chicago Theatre, so I got to hear him when I got back." Shortly thereafter, he met Mies when he was introduced to Chicago architects at an AIA cocktail party. 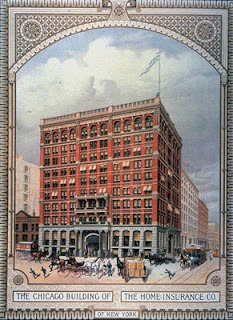 Not only did Danforth study with Mies, but in 1939, when Mies had set up a small office on the 5th floor of the Railway Exchange Building - where its architect, Daniel Burnham, had once had his own offices on the top floor -Danforth became his first employee in America. 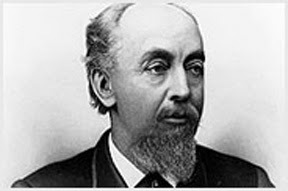 It was Danforth who delineated the perspectives of the first proposals for the buildings of the new IIT campus, and the co-creator of the distinctive collages that would depict other proposals such as the Museum for a Small City, and the Rezor house in Wyoming. He would sit with Mies and go through books and magazines to find the reproductions that would be incorporated into the collages from the works of artists like Klee, Braque, Kadinsky and Picasso, whose huge masterpiece, Guernica, which had a tendency of overwhelming every gallery in which it was placed, was depicted in the collage of Mies's museum as a free-standing wall. Danforth left the Mies office in 1943 to enter the service during World War II, but his association didn't end there. After the war, he was asked by Mies to join the IIT faculty where, after a stint as the head of the architecture program at Western Case Reserve, he returned in 1959 to take over IIT's School of Architecture after Mies retired/was forced out. He stayed through 1975, recruiting such illustrious educators as David Sharpe and Myron Goldsmith. 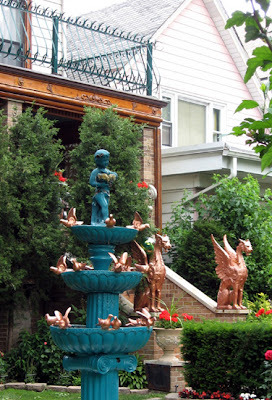 Danforth opened his own practice, Brenner, Danforth, Rockwell in 1961, where the projects included the 1970's Great Ape House for Lincoln Park. "It was a marvelous training period for the office," Danforth says in the IIT bio, "because we’d never dealt with an ape as a client before." 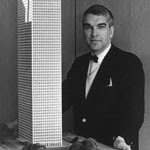 For many years, Danforth made his home in Mies' classic 860-880 North Lake Shore Drive Apartments. In the summer of 2005, frail but alert, he appeared at a symposium marking the reopening of Mies van der Rohe's restored Crown Hall at IIT. He talked of the evening that Duke Ellington played in Crown Hall for the school's annual dance. 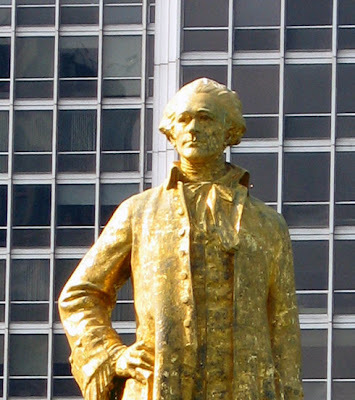 "Jacques Brownson [who would go on to design the Daley Center] put up a bandstand . 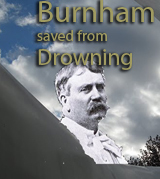 . . that was really a jumping evening. . . . we haven’t had anything like that since." Read the full IIT bio here, and the Art Institute oral history, conducted in 1986 by architectural historian Pauline Saliga, here. While the Chicago Tribune remains usually clueless about how to put a newspaper on the web, routinely stripping illustrations from the web versions of print stories as if they were hoarding gold, every so often they drop a hint that they may actually be learning. That was the case with a great article in Thursday's print edition by Emily Nunn that goes behind the scenes at Millennium Park's Crown Fountain, with illustrations depicting the complex matrix of plumbing, structure and electronics that create the Fountain's serene presence. And - wonders of wonders - the web version is actually better, with a Flash presentation combining drawings, photos and animations to demonstrate how the fountain works. The centerpiece is a video where the park's Director of Design Edward Uhlir gives a tour of the workaday guts that make the beautiful surfaces possible. 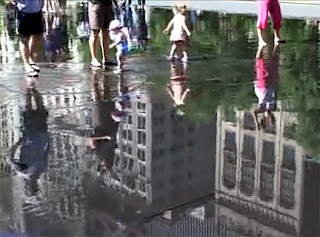 It's mostly Uhlir's narration over a sequence of revealing but static shots, but in the back end Uhlir emerges from his grotto to quietly bask in the joy that sculptor Jaime Plensa's artistry and Kreuck and Sexton's architecture liberates from jaded city dwellers as the simple, childhood act of splashing in a water puddle becomes a civic celebration. 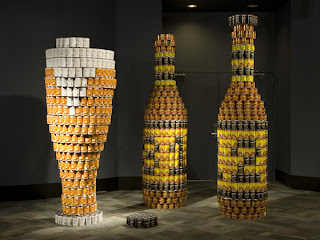 An exhibit of constructions made entirely of canned foods is now on display at the Museum of Science and Industry. 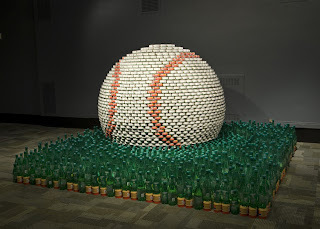 It's the result of the Chicago competition for Canstruction, a program from the Society for Design Administration and the AIA that fights hunger by distributing millions of pounds of foods from sculptures, made entirely of canned goods, in a space not to exceed 10'x10'x8', that are created by competing teams of architects and engineers. 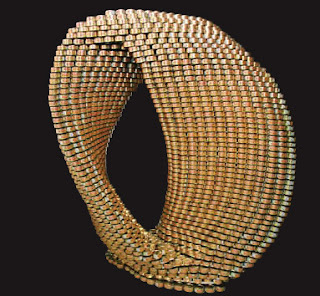 In the 2007 national competition, the largest deployed over 16,000 cans, while a mere 3,500 were needed for Mobius Strip, from Platt Byard Dovell White Architects, which won the national Structural Ingenuity Award this year. Park's Cloud Gate sculpture. Booth Hansen received the Jurors' Favorite award, RTKL and TGRWA won for Best Use of Labels, Best Meal went to Bovis Lend Lease, and honorable mentions went to BLDD Architects, and Harley Ellis Devereaux. You can see all of the entries at Science and Industry, where they're on display through June 24th. 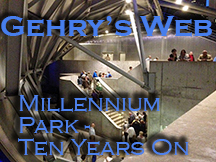 (Admission to the museum is free through this Friday.) 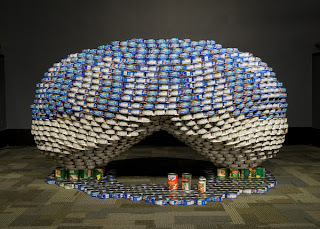 On June 25th, beginning at 4:00 P.M., the works will undergo a "De-CANstruction" at MSI, as the sculptures are disassembled and the cans packed up to go to the Greater Chicago Food Depository. June has been designated Hunger Awareness Month in Cook County. Last year, Chicago's Goettsch Partners was the winner of one of three corporate category awards from IALD, the International Association of Lighting Design for its 111 South Wacker. 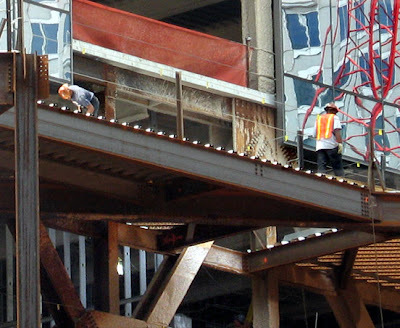 For this year's awards, Chicago firms had to settle for two special citations. 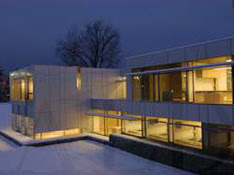 The first went to Julie Blankenheim and the Lighting Design Alliance for their work with Valerio DeWalt Train on the new Kresge Foundation Building in Troy, Michigan, cited for "Integration of Sustainable Lighting Design within an Architectural Structure." restoration of the lighting in the Chicago Board of Trade Building's Lobby, honored for the use of "Modern Technology to Accurately Replicate Historic Lighting Design." 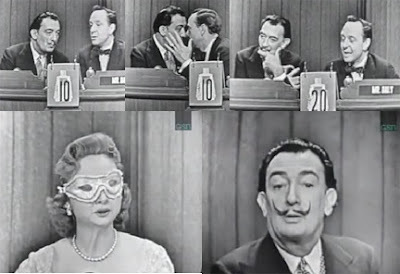 Lest you need a reminder that the confluence of artists and pop culture didn't start with Andy Warhol or Jeff Koons, we give you Salvador Dali on What's My Line. 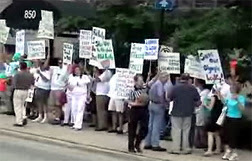 A crowd of protesters overflowed the sidewalks around Jarvis Hunt's 1927 Lake Shore Athletic Club early Sunday afternoon, demonstrating against the impending demolition of the building by Fifield Realty in favor of a new tower by Lucien Lagrange, architect of 840 North Lake Shore Drive, another recent building just to the south. Fifield's request for a demolition permit for the Club is in the middle of an automatic 90-day hold because of the structure's designation as "Orange" (potentially significant) on the Chicago Historic Resources Survey of potential landmark buildings. The Club provides a graceful, classical backdrop to Mies van der Rohe's iconic 860-880 Lake Shore Drive apartments, built just a quarter-century later, just to the north.